Family disputes often involve complex legal issues and high emotional entanglements between disputing parties. Such cases present mediators with challenges that require a wide range of skills. 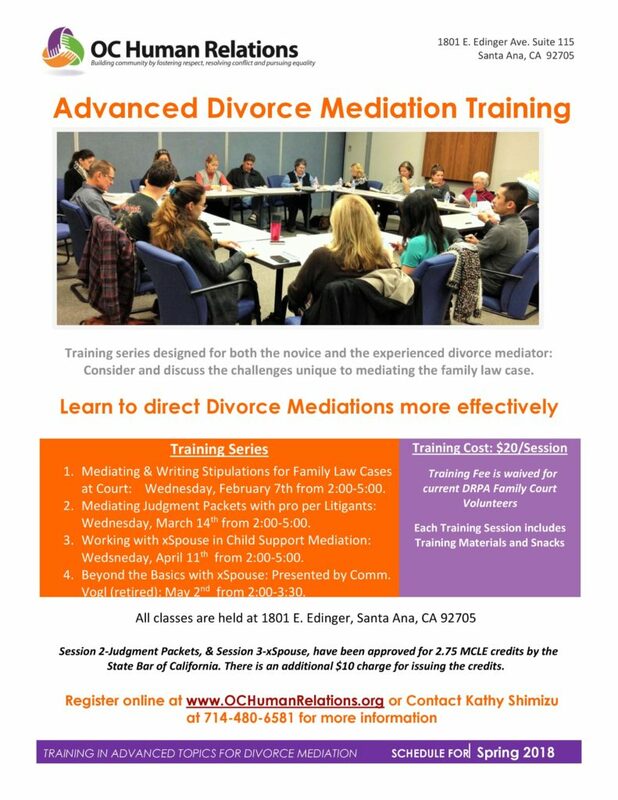 The Advanced Divorce Mediation Training series is designed for both the novice and the experienced divorce mediator and provide an opportunity to consider and discuss the challenges unique to mediating the family law case. Stay tuned for our Fall 2018 Schedule.